Microsoft’s patching, updating and upgrading of Windows – in particular Windows 10 – is a mess that the company needs to clean up, according to responses to a questionnaire circulated among business IT administrators. But Microsoft doesn’t get that there’s a problem. Or if it does, it’s not willing to say so. Instead, it touted a set of “guiding principles” for servicing Windows that it has not followed, argued the patch expert who distributed the questionnaire and urged Microsoft’s top executives to heed the feedback. Last month, Bradley offered the questionnaire to the PatchMangement.org list, asking administrators how satisfied they were with Windows’ patching in general and with Windows 10’s specifically, among other questions. After collating hundreds of responses, Bradley penned a letter to Microsoft leaders, including Carlos Picoto, who heads the Windows servicing and delivery group, and CEO Satya Nadella. In the letter, she cited several trends gleaned from the participants’ comments – that the Insider program doesn’t identify problems before updates reach customers, for instance – and then asked the executives “to take the time to read the [questionnaire’s] responses” because they showed that the people responsible for patching Windows systems were unhappy with the process and the quality of the updates. “We need action to fix these issues,” Bradley wrote. “I wasn’t surprised [that] the IT pros who are in charge of patching are unhappy,” Bradley said Monday in her email. What was a surprise to her was the fact that a majority of the respondents were unhappy: more than two thirds – 69% – reported that they were either “not satisfied” or “very much not satisfied” with the quality of Windows’ updates overall. “If those people in the trenches are not happy, that doesn’t bode well for Windows’ servicing,” Bradley added. Almost as many, 64%, expressed dissatisfaction with the quality of Windows 10’s updates, while more than 78% said that Windows 10’s feature upgrades – now released twice a year – should be issued only once a year or once every two years. Bradley’s questionnaire also asked whether those feature upgrades were useful to the respondents’ business needs (about 80% said “not useful at all” or “rarely useful”) and if Windows 10 was meeting their needs (53% said “yes”). The manager also used boilerplate to describe Windows 10 as “very different from earlier versions of Windows” and its ecosystem as “incredibly complex,” but his comments did not directly address Bradley’s letter or the questionnaire participants’ concerns. In return, Bradley tried one more time to reach out to Nadella, Picoto and Scott Guthrie, the executive who runs Microsoft’s cloud and enterprise division. In an Aug. 3 email, Bradley stayed positive. “I know as a shareholder and customer of your software that you have to be just as concerned as I am about the quality issues of Windows patches,” she wrote. Whether a coincidence or not, some took Wilcox’s post as Redmond’s response to Bradley’s letter. Bradley was doubtful. “I’m not sure that the blog post is a response to me, and if it is, as I said in my [Aug. 3] response back to management, then please do exactly what that blog post is promoting because it’s certainly not being done now,” she said. 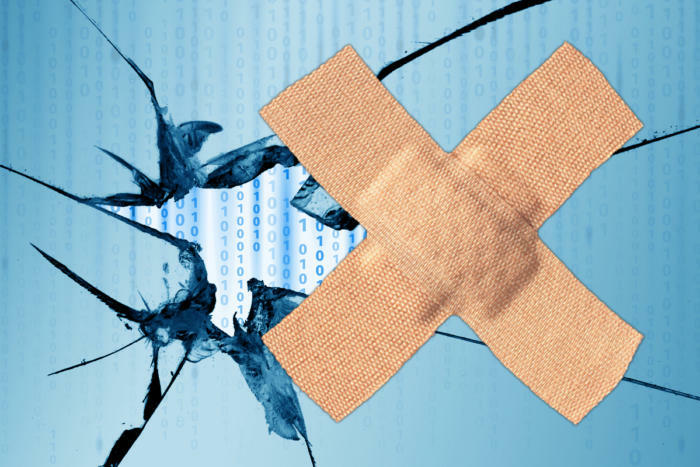 Part of the unrest evidenced by administrators’ responses was linked to a wave of update-related problems that began in January with what Bradley called a “communication mess” around the Spectre/Meltdown patches, and continued through July, when that month’s patches triggered a massive re-patching job just days later. But there was also an element of exhaustion in the questionnaire results. Yet Bradley continues to believe – even in the face of silence from Microsoft – that Windows servicing will improve. “Those principles [Wilcox outlined] should be Microsoft’s goals. [But] they aren’t hitting [them] right now,” Bradley acknowledged. “And I, and all of the other Microsoft customers, will be keeping Microsoft to that promise. We have to get back to where we have such trust in updating that we won’t wait (or rather right now as we are doing), won’t skip a month to patch.